Sophie's Diaper Cakes make a unique baby gift, or centerpiece, for baby showers! 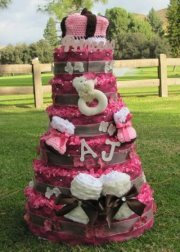 Each diaper cake is hand assembled and made with Huggies diapers or any other brand if requested. 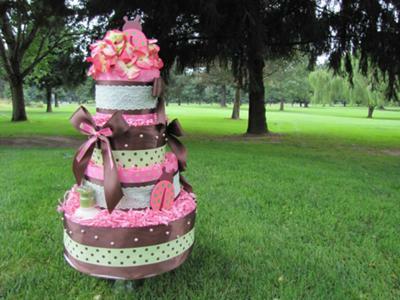 Our Diaper cakes are custom made to your perfection. 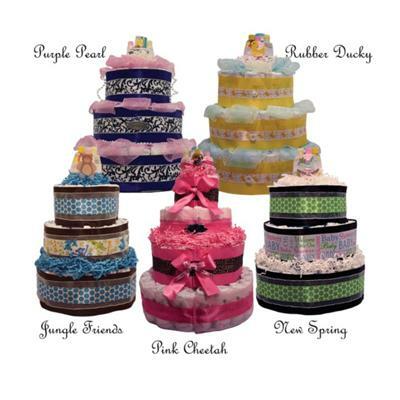 Check out our selection of beautiful baby cakes, and order one today! Ruth (founder) has found an area where she is naturally gifted. Not wanting to keep this gift to herself, she has found a way to not only make a living but to regift her gift to her clients and children everywhere.